I have no idea why I hadn’t thought of making nachos with potato chips sooner. Don’t get me wrong, I absolutely believe that nachos should be made with tortilla chips but making them with potato chips means a saltier, oily-er, crunchier and unexpected alternative. 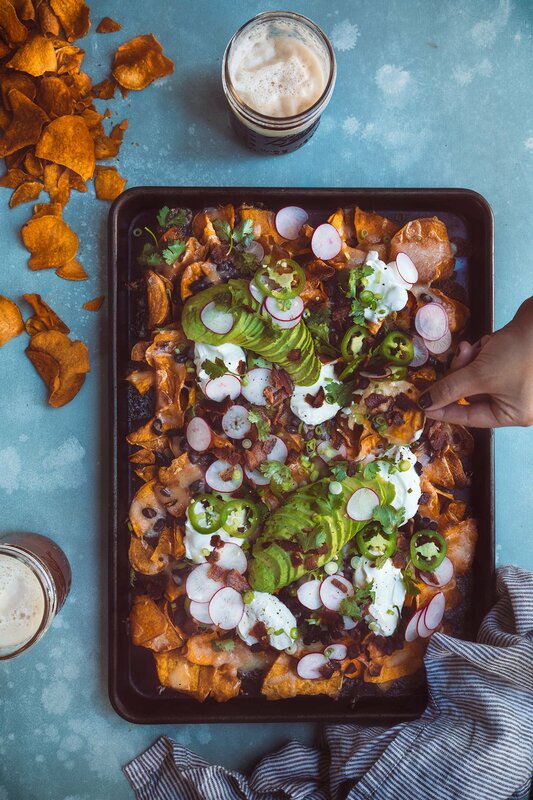 Swap the regular potato chip for a sweet potato chip and you have a serious crowd pleaser. Perfect for your Super Bowl Sunday party! 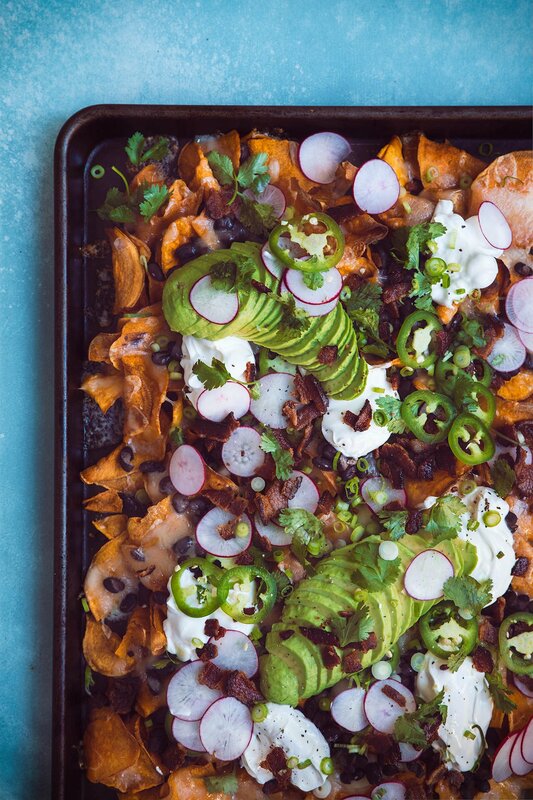 I’ve topped these chips with cheese, avocados, bacon, cilantro, green onions, jalapenos, black beans and radishes, but you could really top them with anything you want. That’s the beauty of this dish- super versatile and super delicious! Cook the bacon in a skillet until crispy. Drain on paper towels. Place the chips in an even layer on a cookie sheet. Scatter the black beans and cheese over the chips. Bake until the cheese is melted, about 3 minutes. Top with cilantro, green onions, avocado, jalapeno, radishes and crumbled bacon. Top with dollops of sour cream. Season with a few pinches of sea salt. Love this recipe! Wish there were a link to Pinterest or an easy button to print the recipe. This will make the superbowl a bit more entertaining for me!